The current day selling environment has changed permanently. Today’s savvy seller needs to rise above the crowd and develop new ways to attract the type of buyer the seller wants. To get you under way, here are 101 suggested tactics you could consider for improving your sales performance both now and into the future. Read the subject you want to focus on when get up in the morning, between calls or just to remind yourself how you could have handled something better. Be Appropriately . . . . . . . . Arrive Prepared to Do Business . . . . . .
Get Them to Relax . . . . . . . Preparation . . . . . . . .
Never Say No . . . . . . . .
Meet Your Customers Requirements . . . . .
Do What You Get Paid For . . . . . .
Be Thorough . . . . . . . .
Be Superior . . . . . . .
Just One More Call . . . . . . Send Them Business . . . . . . .
Focus on things you Have in . . . . . .
Don’t just Listen, Hear what They Have to Say . . . . Become and Invaluable . . . . . . .
Make Them the Stars . . . . . . . .
Keep a High . . . . . . . . 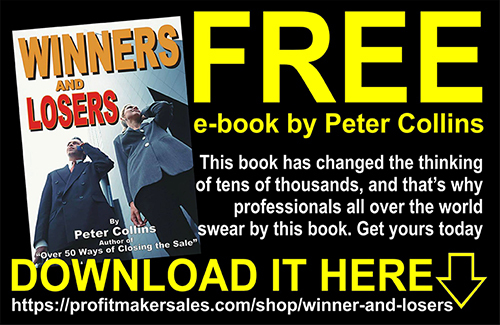 Newsletter Your Progress . . . . . .
Offer Your . . . . . . . .
Don’t Oversell . . . . . . . .
Give them a Freebie . . . . . . . Sales Tip 15. 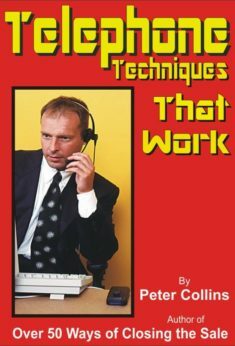 Is Your Presentation Working? Set Goals . . . . . . . . .
Sell . . . . . . . . .
Support . . . . . . . . . Succeed . . . . . . . . . The Most Important Person on this Earth . . . . The Prospect is Usually . . . . . . . The Prospect is Always Underprepared . . . . . The Prospect Wants to be in Control . . . . . The Prospect wants to be Romanced . . . . . The Bottom Line is – “What’s In It For Me” . . . . Sales Tip 36. 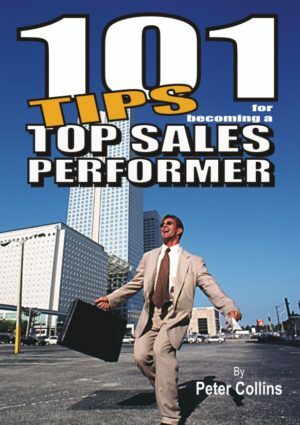 Do You Want to get Better Sales Results? Not educating prospects about the cost of doing nothing . . Calling on prospects who cannot make decisions at the right . . Failing to identify the ‘Behind-The-Scenes’ decision makers . . Failing to resolve your potential customers fears . . . . Develop Seminars and Drip Presentations . . . . . Smile Often . . . . . .
Eyeball People . . . . . . .
Nod Your Head . . . . . . . .
Be Different . . . . . . . . .
Talk Different . . . . . . . .
Do Different . . . . . . . . Prepare Different . . . . . . . Ask Different . . . . . . . . Try Different Things . . . . . . .
And be Different Enough to Face the Prospect in the Early Stages . 59.1 – Professionals Give Top Service . . . . .
59.2 – Professionals Sell Quality Products . . . . .
59.3 – Professionals Negotiate . . . . . .
59.4 – Professionals Write Everything Down . . . .
59.5 – Value Building Eliminates Discounting . . . .
59.6 – All Negotiations Should Pay Dividends . . . .
59.7 – Discounts May Be Used As A Substitute – sometimes . . Sales Tip 60. Are They Listening? Smile Often . . . . . . . .
Eyeball People . . . . . . . . The Salesperson Needs to Try Different Things . . . .
You can have All the Success You Want . . . .
Don’t Take Criticism Personally . . . . . .
Value Constructive Criticism . . . . . . Opinions Are Cheap . . . . . . . .
65.1 – Talk . . . . . . . . .
65.2 – Get excited . . . . . . . .
65.3 – Demonstrate a genuine interest . . . . .
65.4 – Demonstrate the quality and value . . . . .
65.5 – Paint word pictures . . . . . . .
65.6 – Furnish . . . . . . . .
65.7 – Always . . . . . . . Sales Tip 70. What’s Your Real Image? Ask Questions . . . . . . .
Don’t Interrupt . . . . . . . .
Look at the Prospect . . . . . . . Listen for what they Don’t Say . . . . .
Don’t Jump to Conclusions . . . . . .
Don’t Deem them to be Liars . . . . . . Listen to How it is Said . . . . . .
Don’t Argue with them Mentally . . . . .
Don’t React too Noticeably . . . . . .
Don’t Pre-Judge . . . . . . . Concentrate on . . . . . . . .
What they are Saying . . . . . .
Work on One Main Theme . . . . . . .
Keep Your Emotions to Yourself . . . . . .
Nod Often . . . . . . . . .
Stop Talking . . . . . . . . . Reflect their Feelings . . . . . . . .
Mirror their Body Language . . . . . . .
Rephrase the Statement . . . . . . . Question the Statement . . . . . . Confirm the Statement . . . . . . . But above all – LISTEN. . . . . . . . Sales Tip 72. Do You Pass the Test? Upgrade those that have already bought . 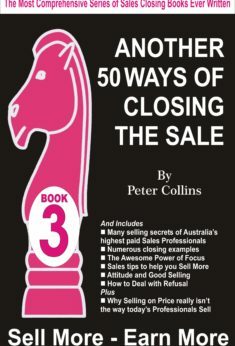 . . . .
Professional salespeople use ‘we’ . . . . . .
Why take rejection personally, take it professionally . . . .
Go high-performance in your selling . . . . . .
Value-Adding can be done Anytime/Anywhere . . . . . Sales Tip 79. Are You Being Received? When there is Little or No Feedback . . . . . .
Promote unexpectedly . . . . . . The Supersellers Pointed me towards Referrals . . . . Sales Tip 83. Does Up’s and Down’s Selling still Exist Today? Develop the Ability to Sell Yourself . . . . .
Stop Using Outmoded Selling Styles and Concepts . . . .
Be known for your ideas . . . . . . .
Increase Your Depth of Overall Knowledge . . . . They Keep things Close to the Chest . . . . . .
Prospects play a Pre-Arranged Game . . . . . . They always have a Friend who Might Want One . . . . They always Pay in Cash . . . . . . Professionals have a burning desire to win . . . . . Professionals go ahead and do what they fear most . . . . The professional will not stoop so low as to take rejection personally . . Professionals are genuinely interested in people . . . . The enthusiasm of a professional is high . . . . . Professionals are always willing to improve . . . . . The professional will go back to basics at least once a year . . . The professional is not afraid of criticism by others . . . .
Talking too Much . . . . . . . . . Appearing too Eager . . . . . . . . The Underprepared Preparation . . . . . . The Off-Road Wanderer . . . . . . . . Negative Speech . . . . . . . . . Ask to learn about them . . . . . . . . Phone them when you need help . . . . . .
Keep them in a special book . . . . . . . Acknowledge their help . . . . . . . . Ensure you provide excellent after-sales . . . . . Develop the Resources of Existing Customers . . . . . Always get the Prospect Involved Fully . . . . . .
Communication Questions Help you Sell . . . . . Handle Sales Literature the professional way . . . . .
Do Joint Ventures with List Holders . . . . . . .
Be enthusiastic . . . . . . . . . Follow up furiously . . . . . . . .
Be known in the marketplace . . . . . . . Become indispensable to customers . . . . . .
Make News . . . . . . . . .
Know when to say no . . . . . . . .
Get organized and stay that way . . . . . . . Present personalized proposals . . . . . . . Sales Tip 98. Referral Selling – What’s the Problem? Get Back on Track with Hot Leads from Client Referrals . . . Referrals Accelerate MORE Business for the Seller . . . . Sales Tip 99. Eight Ideas for Better Selling and Earning More Money Faster. . .
Prospects Want Solutions to their Challenges . . . . . Remember the WIIFM Factor . . . . . . . Ask the Right Questions . . . . . . .
Everyone’s a Valuable Contact . . . . . .
Just ONE MORE Call adds More Hours to the Day . . . .
Here’s Some More Stuff to Digest . . . . . .
Because of this Sales were up by 100% . . . . . .
And Profits Went up by 300% . . . . . . .